The map above shows the number of plastic surgeons per one million people. 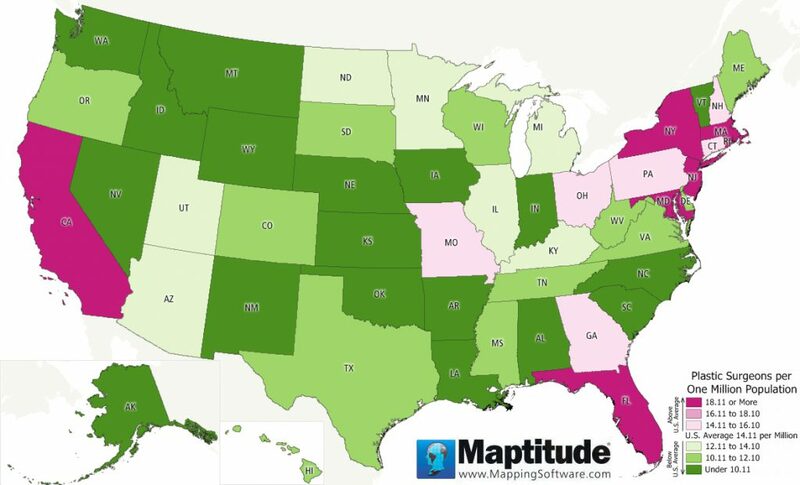 Those U.S. states in shades of red have above average access to a plastic surgeon while those states in shades of green have below average density. Washington DC has the highest ratio, while Wyoming has the worst access to a plastic surgeon. California comes in at 7th place despite being home to 15% (711) of the nation’s plastic surgeons.